Great host and clean place to stay. Loved this place! This was the best part of Naples (the city needs work and a good cleaning) but Annamarie's place was outstanding! If she was in charge of Naples it would be amazing! The entire place was very clean, cozy, and well laid out. The breakfast was excellent and the host is a sweet and genuine lady! I loved her place and I would book her B&B again and again if I return! Lovely home. Very well kept and warm. Anna is very helpful and lovely. Annamaria is an amazing host, very friendly, making sure we would have the best experience possible. We forgot a book and she managed to give it back to us, which was very kind. The room was clean and fully equipped, hot shower was amazing (but we had the feeling water was getting a bit colder towards the end of the shower). Everything very clean! Location perfect for exploring the city. Recommended! We loved staying at Annamaria's. 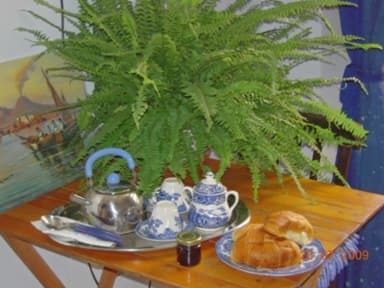 She is a lovely Italian Lady that will welcome you in her amazing bed and breakfast. I didn't feel too safe around the area where the B&B is located, it's near the train station, but the rooms were great and had perfect security. Very nice spot in the heart of Naples, and near the station. Room was lovely with breakfast served in the morning. 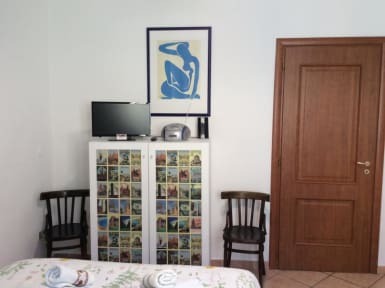 If you have decided upon visiting Napoli then staying at the B&B Sant'Elmo is a must. Annamaria is a lovely host whose home is very clean and welcoming. It is a short walk from The train station and easy to find.